Little do we realise that names are the foundation of all knowledge. Naming people and things makes it easier for us to make sense of our world. In the Muslim creation story, for example, we are told how God taught Adam the names of all things, thus giving him knowledge of matters even the angels could not fathom. The names we give ourselves not only help us identify one another, but are also replete with meaning. However, our names have not always been the same; they have been changing over the ages and have intriguing stories to tell. 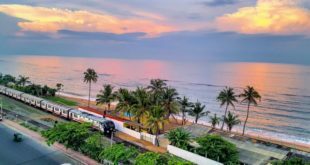 The earliest names Sri Lankans gave themselves were very simple. One has only to look at the names of the founding fathers of the Sinhalese nation to realise this. There was Vijaya, whose name literally means ‘victory’ or ‘conquest’. Then there were his ministers, like Anuradha and Upatissa, all of whom had names of a very simple kind. 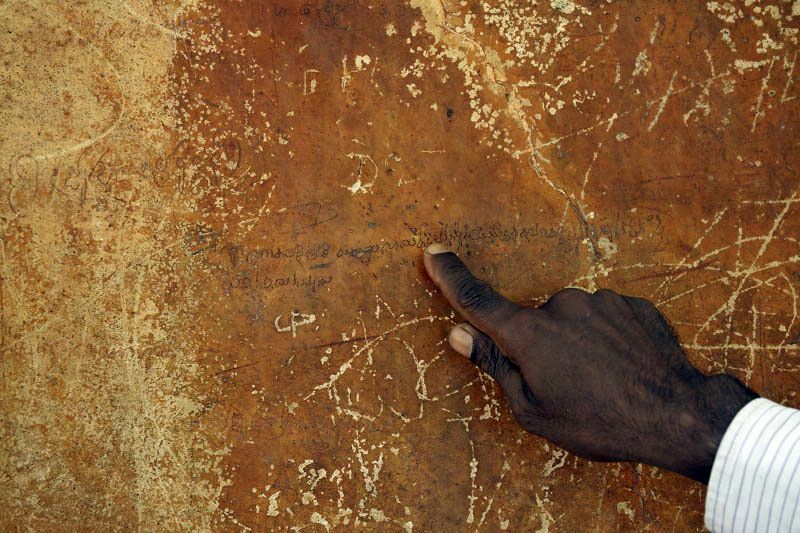 Simple names continued to be used in the Brahmi inscriptions of the 3rd century BC – 3rd century AD in Sinhala Prakrit (an early form of Sinhala), where we find names like Abaya, Data, Guta, Deva, Mita and Sena. Abaya meant ‘fearless’, Mita ‘friend’ and Sena ‘Army’. These simple names continued until the 10th century, as we find in the Sigiri graffiti of the 8th to 10th centuries, where there are names like Agbo, Bodur, Dev, Kasub and Mihind, though we also meet with a few double-barelled names like Mahamal Bud, Golagamu Niladevala and Salame Dev. These compound names reflected a trend slowly catching on then, that in later centuries would result in some really long names that peaked during the colonial era with the addition of names of European origin. That’s when we come across names like Johannes Franciscus Dias Wijeyasekere Bandarenayeke and Julius Valentyn de Saram Wijeyasekere Goenatilakaratne figuring in a list of Sinhalese headmen in the Ceylon Almanac of 1844. A few of the composers of the Sigiri verses a little over a thousand years ago were already identifying themselves as belonging to the house of so and so, such as Kasub himiyan-ge Mihind (Mihind of the House of Lord Kasub) and Magalamb Mihidala-malun-ge Agboy (Agboy of the House of Mahadala-Mal of Magalamb). The suffix -ge used here means ‘of the house of,’ and serves a similar purpose to the ‘Von’ of German names. To this day, the Sinhalese use family ge-names such as Hevage (House of the Soldier), Liyanage (House of the Scribe) and Bambaravanage (House of the Forest of the Bees). These preceded the proper names of persons and in the olden days served as a sort of surname. Today, they may simply be adopted as surnames. For instance, Luvishewage Dayapala’s children would be called Chaminda Luvishewa and Lakmali Luvishewa. The tendency to-day in the towns is to drop the ge-name altogether and to adopt surnames after the English fashion. In the interior and in the villages the ge-name is scrupulously regarded. In the earliest Brahmi inscriptions of the country c. 2nd century BC, women tended to identify themselves as the daughter of so-and-so. For instance, Revati called herself the daughter of Mitapala (Mitapalasa jhita Revati) while Princess Anuradi described herself as the daughter of Prince Abaya (Aya Abayasa jhita Abi Anuradi). In later medieval times, as we gather from the Sigiri graffiti, the ladies tended to identify themselves more with their husbands, as the wife of so-and-so. One female composer identifies herself as Sevu, the wife of Nidalu Mihid (Nidalu Mihid Abu Sevu), while another calls herself Lady Nal, wife of lord Mahamet (Mahamet-himiya abu Nal himiyabuyun). This does not necessarily reflect a patriarchal society, since there is a case of a man named Mahasattay identifying himself as the husband of Lady Boya (Boya kala semi Mahasattay). 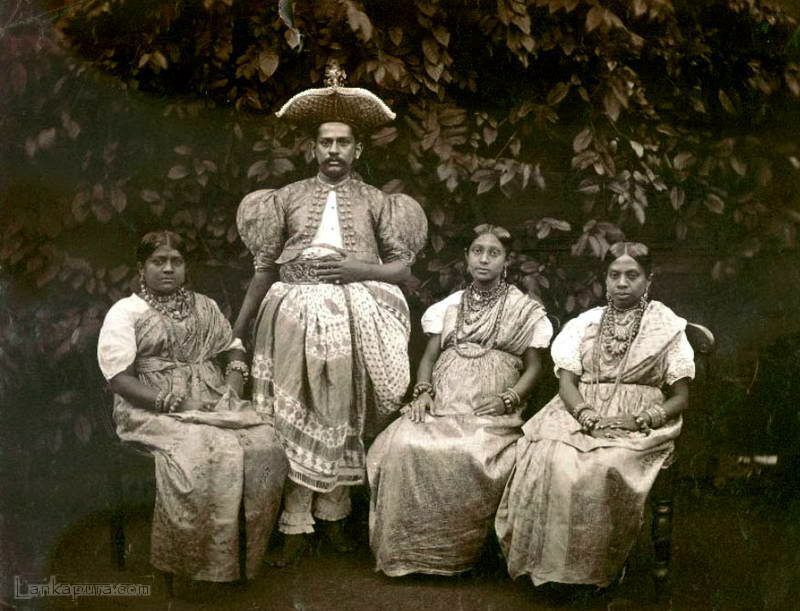 We also know that even up to Kandyan times, Sinhalese women did not take their husbands’ surnames, but kept their family names. It was only as a result of British rule that local women gradually took to adopting their husbands’ surnames. This British practice was no doubt a spillover from the days of Roman rule, reflecting the wife’s transfer from the patria potestas, or paternal power of the father, to that of her husband. Both personal names and family ge-names differed by caste. For instance, the name Banda in forms like Heen Banda, Tikiri Banda and Dingiri Banda was commonly borne by members of the Govi caste. The fairer members of this caste bore names like Menike (Jewel) in forms like Ran Menike, Podi Menike, and Dingiri Menike. The untouchable Rodi caste had names that were vastly different. Hugh Nevill, the well-known British Civil Servant and Orientalist, in his Taprobanian (August 1887) mentions names like Asura, Wisiya, and Suruwana borne by Rodi men and Asurangi, Bingumali, and Singowalli borne by Rodi women. As for ge-names, we would find that the Govigama, who have been traditionally considered farmers and hence much rooted to the land, have names based on localities like Bovattegedara (the House of the Garden of Bo Trees) and Siyambalagodage (the House of the Grove of Tamarind Trees). Karava ge-names may reflect a sea-faring and military tradition like Marakkalage (House of the Skipper), Galappatige (House of the Caulker, one who puts away water from a ship), Hennedige (House of the One prepared for War), Gardiya Punchi Hevage (House of the Little Soldier of the Guard) and Patabendige (House of those bound by the Band). Patabendige refers to a titular rank by some Sinhalese monarchs of old for some heroic deed by means of fastening a band of silk or gold round the forehead. The Vahumpura have names like Devage and Hevage, testifying to a warrior tradition in the olden days, Deva being a synonym for the Aryan warrior caste known as Kshatriyas and Heva meaning ‘Soldier’. The Radawa commonly bear names connected to washing, like Haluge and Apullanagedara, Halu meaning ‘shawl’ and Apullana meaning to ‘wash clothes by beating them against a rock’, which is the manner by which they used to wash clothes in the olden days. The Navandanna have names referring to their artisan tradition like Acharige, Badalge, and Abharana Gedara, and the Bathgama very often have Pedige of dubious meaning prefixed to their names. 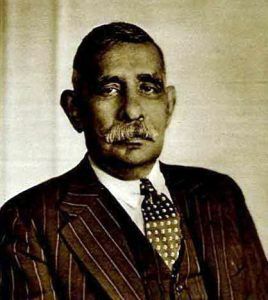 Our first Prime Minister, Don Stephen Senanayake, bore the Portuguese title Don as part of his name. For one thing, the Portuguese title of Dom, originally applied to nobles and churchmen, caught on by undergoing a slight corruption to Don to precede the proper names of local men. Its feminine form, Dona, applied to ladies of very high standing (to this day the first lady of Brazil, which used to be a Portuguese colony, is called Dona), was also adopted by local women, especially of the south. J.W. Bennett noted in his work, Ceylon and its Capabilities (1843), how the Sinhalese of his day still aspired for Portuguese names and titles, adopting names such as Don Louis and Don Christoffel. “German Barons” he says, “are scarcely less plentiful than Ceylon Doms and Dons, and the latter appendage is just as easily assumed as the former title”. Who can, after all, forget our well known Queen Dona Catherina, whom the conquistadors installed on the throne of Kandy? Or our first Prime Minister, Don Stephen Senanayake? The Portuguese also left a very large number of their surnames behind, although this does not mean that those who bear them have Portuguese ancestry. Rather, these surnames seem to have been adopted by their forebears when they converted to Christianity, possibly taking after the names of Portuguese godfathers. Such Portuguese surnames were called alukunna from the Portuguese alcunna, which in turn had derived from the Arabic al-kunya. 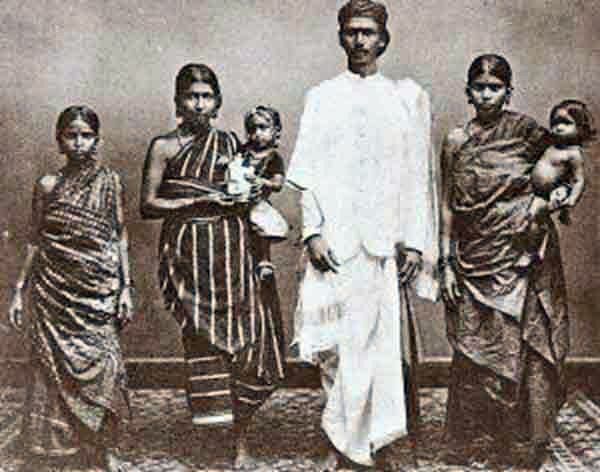 While common Sinhalese surnames like Almeda, Cabral, Costa, Dias, Silva, Perera, Fonseka, Fernando, Pinto, Rodrigo, and Salgado are pretty straightforward Portuguese, there are others that have undergone slight variations such as Aponsu (Affonso), Livera (Oliveira), Grero (Guerrero), Peiris (Peres), Nonis (Nunes), Gomas (Gomes), Mendis (Mendes), Suwaris (Soares), Sigera (Siqueira), Pigera (Piqueira), Tisera (Teixeira), Thabrew (D ‘Abreu), Doluvira (De Oliveira), and Salpadoru (Salvador). Many of these Portuguese names have lovely meanings. For example, take Silva (of the Woods), Costa (Sea Coast), Perera (Pear Tree), Oliveira (Olive Tree), and Correa (Place covered with Carriolas plant). Yet others are diminutives, like Pinto (Chick) or suggestive of a heroic tradition, like Guerrero (Warrior). The Dutch influence on Sinhalese names was not as profound as the Portuguese whom they succeeded in 1658. 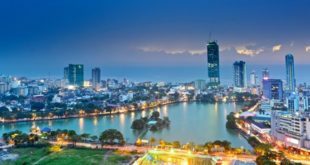 They did not bestow any surnames on the Sinhalese or Tamils as they were more keen on trade than converting or culturally influencing the local populace. However, they did leave behind a number of personal names, many of which continued to be borne by the Sinhalese of the humbler classes until very recent times. In fact, one may still come across such names borne by an older generation of men. Thus we have Karolis, Tepanis, Harmanis, Yohanis and Girigoris, which have arisen from the Dutch Carolus, Stephanus, Hermanus, Johannes and Gregorius. Not all such names are, however, of Dutch origin. Paulis is from the English Paul, Jaamis from the English James, and Chaarlis from the English Charles. The Tamils are fervent Hindus and believe that adopting the names of Hindu divinities are the best form of flattering the gods. Popular names include Arumugam (‘the six-faced one’, a reference to Skanda), Kanapati (a reference to Ganesh, the elephant-headed god), Murugan (another ancient name for Skanda, the god of war) Nadaraja (King of the Dance, meaning Siva in his manifestation as the cosmic dancer) for men and Lakshmi (Goddess of Fortune) and Sarasvati (Goddess of Knowledge) for women. There are also a few corrupted names like Lechchumi (a corruption of Lakshmi) and Meenachchi (a corruption of Meenaakshi meaning ‘the fish-eyed one’, the tutelary goddess of Madura). Although most Jaffna Tamils are Saivites or worshippers of Siva, they also bear Vaishnava names like Alvar, Gopal and Krishnan, which are connected with Vishnu (Personal Name in Jaffna Society, in the research journal Tamil Civilization, 1986). The untouchable castes were hardly, if ever, given the names of deities. Rather, they were often given names that indicated colour, height, or terms referring to demons. They bore names like Karuppan (black one), Kattaiyan (short one) and Muniyan (demon). The women were given names like Karuppi (black girl) and Puti (devil lady) (Caste and Language in Jaffna Society by S. Suseendirarajah, Anthropological Linguistics, 1978). The Tamils of Jaffna, especially those of the Vellala caste, had a practice of prefixing their father’s names to their personal names by adding the word pillai or pullai (son) to it. Thus, Velu’s son Shanmugam would be called Velupillai Shanmugam. Even today this is known among older sections of conservative Tamils, though the practice has declined of late. In the olden days, this was fairly common. For instance, in a list of Tamil headmen of Jaffna given in the Ceylon Almanac of 1844, we come across one Sangerapulle Velyden. To this day among the Jaffnese, one’s initials generally stand for one’s father’s name in the case of males and unmarried females. In the case of married women, it often stands for the husband’s name, perhaps a result of Dutch rule in Jaffna. 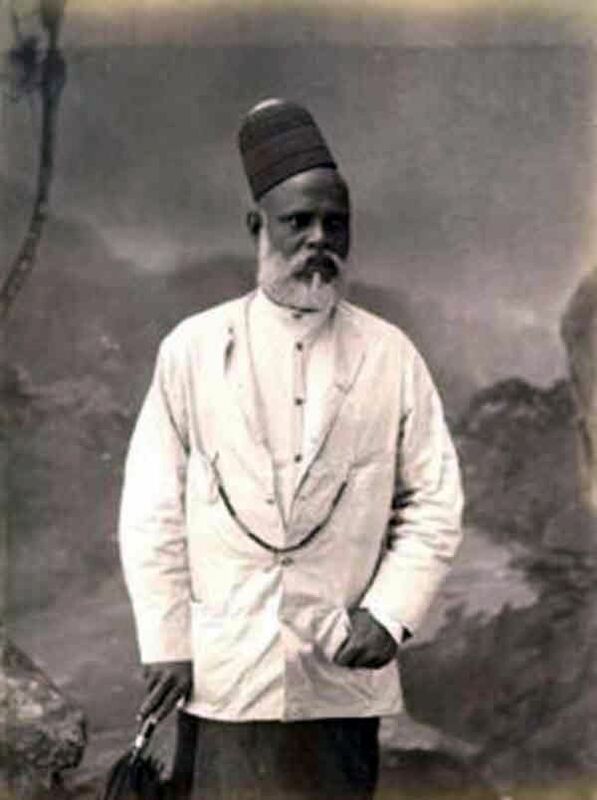 It is a little-known fact that many Muslims of the country, more properly known as Moors, bear Sinhala ge-names. This is especially so of the Moors of the Kandyan areas, among whom one could find ge-names like Galgedara, Lindegedara, Kandegedara, Muhandiramla-gedara, and Nagahadeniya-gedara. These ge-names precede the personal names of individuals. Thus we have names like Alakoladeniya Gedara Yusuf Lebbe, Kurugoda Vidanalage Gedara Abdul Hameed Wahabdeen, and Kandegedara Abdul Gafoor Sitti Nafiya. However, what is interesting is that the Moors of maritime districts like Aluthgama, Beruwala, and Maggona also formerly bore ge-names which are widely attested in the Dutch Tombos covering the period 1766-1771, where we find such names like Ibrahim Tandellage Ahamadoe Nainde, Daroebesie Lienege Oemoer Lebbe, Iratnewalli Aratjege Oedoema Lebbe, Ismail Mokedonge Oemoer Lebbe, Pawelekodige Sleman Lebbe, Kopeaediaerlage Ibrahim Lebbe, Mamina Marekelage Ahamadoe, and Assena Lebbelage Potoema Natja. These ge-names could have come into existence among the Kandyan Moors due to one of two reasons: they were either borne by the Sinhalese ancestresses of these Moors, who passed it down to their offspring; or else might indicate the readiness of the Moors to adopt the salient features of the host culture, so as to identify themselves more closely with their Sinhalese neighbours, with whom they maintained friendly relations. Parallel situations were found among the Turkic-speaking Muslim peoples of Central Asia, who, after Russian practice, follow their personal names with the names of their fathers suffixed with –ov e.g. Karimov, Sultanov, and Rakhmanov. 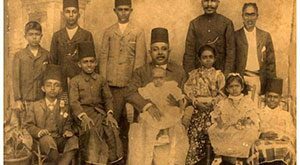 However, there is reason to believe that at least a few ge-names such as Muhandiramlage, borne by a number of Moor families, were acquired as a result of their ancestors being appointed to the high office of Muhandiram etc. by the Kandyan kings. The Moor Muslims of old commonly bore nicknames. Such patta-perus, as nicknames were called, included Baba (Baby), Kolanda (Infant), Echchi (Miserly), Pushana (Indolent), Shoththian (Feeble-handed), Shemata (Brown or Tan), Dada-bada (Noise made when walking), Munda kan (Big-eyed), Poona kan (Cat’s eye), Madayan (Fool), Jemmi (Jewel) and Poo (Sweet). There were others like Karupati (Jaggery), Kochchika (Chillie), and Pila kotta (Jak seed), perhaps referring to their tastes for these particular items of food. More interesting were names like Aana Bulingi ‘Swallower of elephants’, Baang Koli ‘Turkey’, Koli Kunji ‘Chick’, Porichchakoli ‘Fried Chicken’, Kumbala Mashi ‘Maldive Fish’, Karapothan ‘Cockroach’, Katchcha Karupatti ‘Bitter Jaggery’, Shappatayan ‘Flat Nose’, Velli Baba ‘Silver Baby’, Vengalam ‘Loud-mouthed’, Bavulthavaly ‘Stomach ache’ and Anjishazathu Mapulle ‘Five Cents Bridegroom’ “who traveled as such in a decorated tramcar with his entourage” (Some Nicknames of Sri Lanka Moors by M. M. B. Ansari 1981). It just happened that there were scores of Hamids, Yoosoofs, Haniffas, Mohideens etc. in that concentration of Ceylon Moors”. The easiest way out, he says, was nicknames emphasising their attributes, penchant, and failings – even physical defects. To conclude, we can see that the names we give ourselves say a lot about us as individuals and as communities. They give us identity and a sense of belonging to a particular group and help others identify us as such; they reflect our beliefs and attitudes and even give an insight into the manifold influences we have been subjected to in the past. In essence, they capture in a word or two what we are all about. There’s really no such person as a nobody if he or she has a name ‒ and therein lies the power of names.